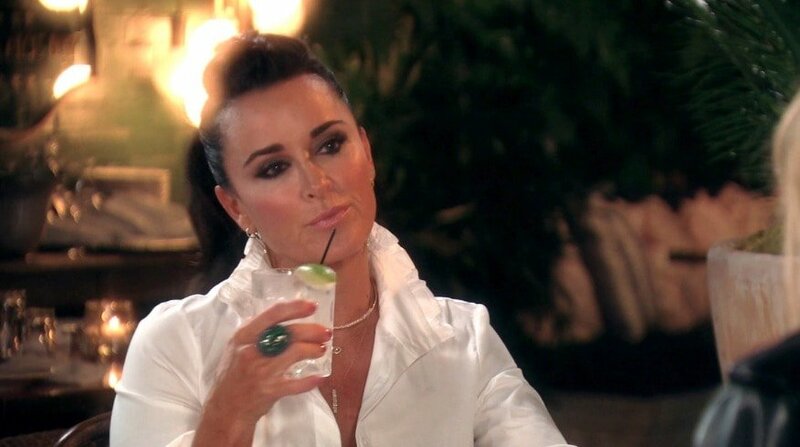 Kyle Richards Says Real Housewives Of Beverly Hills Season 9 Has Drama "Out Of The Gate"
Season 8 of Real Housewives of Beverly Hills was the most boring season in the show’s history. The only “drama” came from Dorit Kemsley being late for drinks and eventually when she criticized the glassware. That is far from when this show started out with Kyle Richards screaming at her sister in the back of the limo during the Season 1 finale. That first season was nothing short of iconic. Years later, nothing has quite measured up, but especially the last season. Kyle insists that Season 9 is so much better than Season 8. She did not actually say those words since Kyle is far from a trash talker, but she does insist that Season 9 is going to be a good one. Let’s hope she’s right about this one! In an interview with Us Weekly, the OG cast member declared, “It’s been a really outrageous season, from, like, literally the get-go. Usually it’s like catching up, it picks up — this was like, ‘Bam,’ out of the gate.” This needs to be true. Last season the show was more of a documentary on the Beverly Hills lifestyle than a reality show. There were so many glam squads, product promotions, and home renovations, but very little drama. We need more. Considering all of the speculation that Lisa Vanderpump is on the outs with most of the cast members, we just might get the drama that was lacking last season. Let’s hope that The Real Housewives of Beverly Hills season 9 really is a wild and crazy ride and she’s not simply promoting her own show. In all honesty, no matter how interesting this show is, I will continue to watch every single episode- multiple times over. TELL US- ARE YOU EXCITED FOR REAL HOUSEWIVES OF BEVERLY HILLS SEASON 9? WHICH STORYLINES DO YOU WANT TO SEE? Reality Stars Hit The Pumpkin Patch! Kathryn Dennis, Margaret Josephs, & More!